This proposal could bring an end to poverty. You may not recognize his name, but Andy Stern clearly knows a thing or two about working with people. He’s President Emeritus of the fastest-growing union in North America, the Service Employees International Union (SEIU), and a Senior Fellow at the Richmond Center, Columbia University One. Stern’s educational background is in education and urban planning, and he regularly speaks to audiences about entitlements, fiscal policy, healthcare, immigration, and the future of the labor movement. Under Stern’s leadership, the SEIU grew by more than 1.2 million workers and generated numerous national and global organizing campaigns, such as Justice for Janitors, Kids First, Sodexo, and There Is No Place Like Home. Like many other people right now, this supporter of the working stiff has quite a bit to say about universal basic income (UBI), but his new book, “Raising the Floor,” is one of just a few sources of detailed information about how UBI could practically be implemented in the U.S. Since the idea behind UBI is to meet every citizen’s basic needs, like housing and food, without discouraging work and industry, Stern’s plan would pay all 234 million American adults $1,000 a month, placing them at about the federal poverty line ($24,000 a year for a family of four). In the future, the amount would increase automatically based on the GDP’s growth. This will prevent those in power from trying to stagnate the dollar amount, a problem that has surfaced with regards to the minimum wage. Entitlements are often derided for their complexity, which is why the simplicity of UBI is so appealing to so many. One flat benefit for everyone, no questions asked, means very little bureaucracy or red tape. As more and more countries trial UBI programs, some of the concerns about the strategy may finally be put to bed. 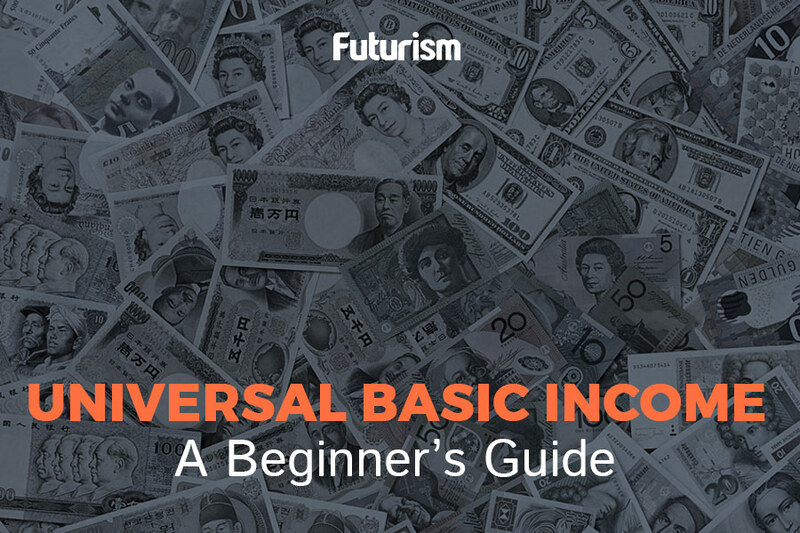 Canada will be trialling UBI for all 150,000 citizens of Prince Edward Island (PEI), and a German startup is already testing UBI with a pilot program called Mein Grundeinkommen (My Basic Income). Recipients in Berlin argue that the program is allowing them to be more innovative rather than demotivating them. This year, Finland’s two-year UBI trial launched. Now, 2,000 randomly selected citizens each receive about $587 a month. After the two-year trial, the government will compare the data from the 2,000 participants to data from 173,000 non-participants from similar backgrounds to decide whether a UBI system would be beneficial. GiveDirectly will be providing a UBI to more than 26,000 Kenyans across 200 villages this year, some for 12 years, some for two years month by month, and some for two years as a lump sum. In this way, GiveDirectly will be studying the feasibility of various UBI models. UBI has its share of critics and skeptics, including billionaires Bill Gates, who thinks we just aren’t ready for such a system yet, and Mark Cuban, who thinks UBI is among the worst possible responses to automation. Erik Brynjolfsson, a researcher at MIT’s Sloan School of Management, says while automation is replacing many jobs, there are also new jobs we need to prepare for and do. Robert Gordon, an economist at Northwestern University, thinks expanding our existing safety net is a better idea than creating an entirely new UBI program, as it would ensure people would still have an incentive to work. However, seemingly just as many experts believe UBI will work. Frank Stilwell, a professor emeritus in political economy at the University of Sydney, argues that UBI is necessary due to society’s technological changes and feasible so long as wealth is more equitably distributed. Scott Santens sees UBI as a social vaccine against poverty — if we invest an ounce of prevention in UBI, we can avoid poverty in our society and the pound of cure it necessitates. Brad Voracek, who holds a degree in applied mathematics in economics and computer science from Berkeley and a master’s in economic theory and policy from Bard College, thinks proponents of basic income and job guarantee programs should be supporting either option or even pushing for a combination of both, because UBI does not discourage working. Finally, Elon Musk says that AI will force governments to implement UBI. Of course, plenty of people don’t want to give benefits to anyone at all, let alone everyone, and many of those people are politically powerful. Still, this challenge isn’t something that scares Stern. He believes we could see UBI become a rallying point for governmental reform in the age of automation.